The Piscataqua Riverfest is Portsmouth's annual celebration of the rivers and bays! Come for the traditional boat show, the Round Island Regatta, food, music, demonstrations, and vendors. This is a perfect event for all ages! - Piscataqua Riverfest Boat Show - Traditional boat show for vessels up to 26ft long to include lovely boats used on our rivers. Categories range from "I built it myself" to commercial boat builders. 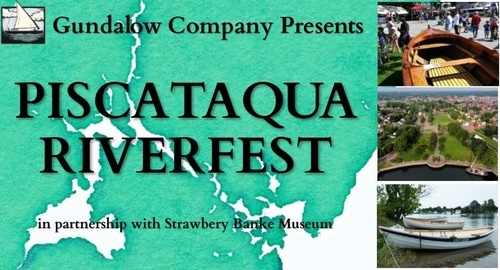 Boat show tickets available for sale online or at the gates at Strawbery Banke.